I LOVE blogging. I am what I would call an accidental blogger. Blogging has been a great outlet for me and is something I started to document our lives. But it has evolved into the best tool I have ever had to share the Gospel. And that is where my heart lies. I’m so passionate about taking whatever platform or place God has you in and using it for His glory. I think most of us feel unqualified to serve him or represent him but God tells us loud and clear in scripture that he isn’t looking for a perfect resume or a set of skills - he is looking for people to be willing to be used by him. God can use anyone and anything to reach people with his message. That’s something I love about the Bible. He didn’t use the wealthy or the powerful - he used very ordinary people. Mary, Noah, Jonah, Moses, David…….. I think Blogging is an amazing tool. If nothing else - blogging is a great way to document your family’s life. My hope is that it will be a treasure for my girls to read as they get older. It also helps me to remember milestones and moments in our lives. Also - it’s a great connector of people outside their circle. You may not know anyone in your small bubble of friends who have gone through death of family members or cancer or who have a special needs child but through blogging you can find people who you can identify with and not feel so isolated. 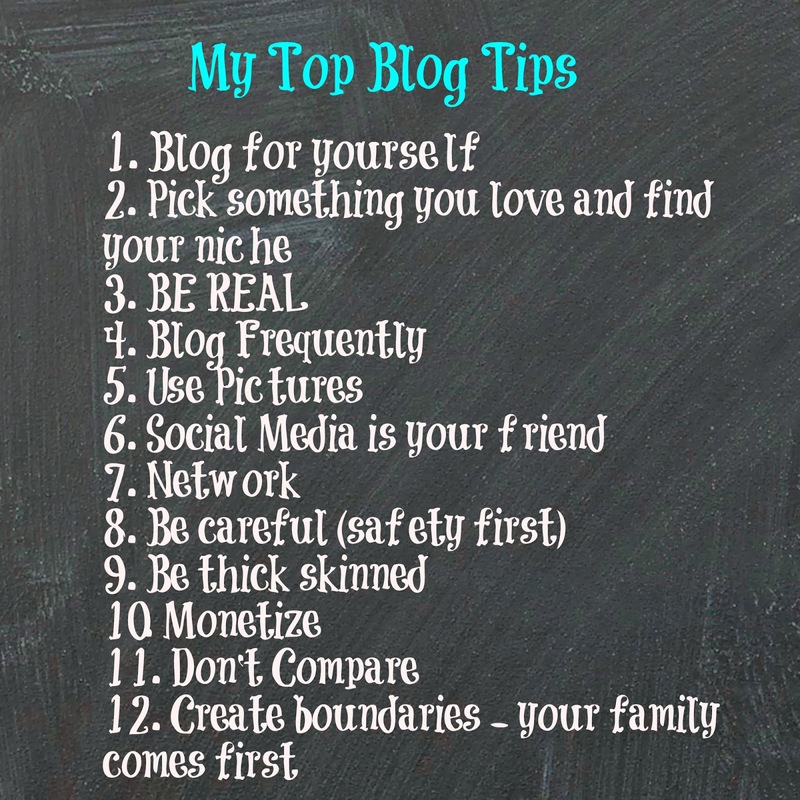 I'm not an expert on blogging but through years of blogging and being around bloggers - these are a few things I would want you to know if you start blogging. I could talk paragraphs on each one but hopefully they are semi self explanatory. You may have a blog and you would like to use it to minister. But you think I only have 50 readers. PLEASE don’t put your value or worth into your statistics. If you have 50 and you encourage one - you are doing exactly what God called you to do. Life is short. We are here on earth for one purpose - to know God and to make him known. I have a renewed passion to share Him in every chance I get. I want to be intentional with my life and with every opportunity to be a light for Christ. You may not have a blog and don’t have one and wonder how God can use you. God made you and has a specific plan for you. His plan is the same for all of us - as He tells us in Acts 1:8 - to be His witnesses to all the earth. You may have a job you hate and wonder why you are there but God has a divine appointment for you there. You may be a teacher who can reach a student or parent. You may have friends in your neighborhood who need to know Him and who you can show His love to. We all have a calling. I just want to encourage you to listen to God and to say yes to him. He will make divine appointments for you. When we accept Christ - we aren’t just being saved from something - we are being saved for something. God wants to work out that calling in your life. One of Mine (I think)happens to be a blog. I’m so grateful for that. Not because I want people to know about Kelly stamps = but because I want them to know about Jesus Christ.